DrupalCamp Organizers Unite: Is it Time for Camp Organizers to Become an Official Working Group? If the community is a top priority then resources for organizing DrupalCamps must also be a top priority. With this emphasis on community, I tried to think back to how and when I first interacted with the community. Like so many others, my first introduction to Drupal was at a local Meetup. I remember going to this office building in Atlanta and the room was packed with people, plenty of pizza, soda and, of course, laptops. It was a nice relaxed atmosphere where we introduced ourselves and got a chance to know each other a little bit. Then the lights dimmed, the projector turned on and the presentations kicked off, highlighting some new content strategy or a new module that can help layout your content. After that first meetup, I felt energized because until that point, I had never spoken with someone in person about Drupal and it was the first time that I was introduced to Drupal professionals and companies. Are you interested in attending the first online DrupalCamp Organizers Meeting, on Friday, November 9th at 4:00pm (EST)? RSVP Here. After attending a few meetups, I joined the email list and I received an email announcing DrupalCamp Atlanta was going to be held at Georgia Tech and the call for proposals was now open for session submissions. I purchased a ticket for a mere $30 and added it to my Google calendar. On the day of the event, I remember walking in the front door and being blown away by the professionalism of the conference as there were sponsor booths, giveaways, and four concurrent sessions throughout the day. But it wasn’t until I was inside the auditorium during the opening session and saw the 200 or so people pile in that made me realize this Drupal community thing I heard about was for real. Over the next couple of years, I decided that I would attend other camps instead of DrupalCon because the camps were more affordable and less intimidating. My first camp outside of Atlanta was Design4Drupal in Boston, DrupalCamp Charlotte, DrupalCamp Florida and BADCamp were all camps I went to before attending a DrupalCon. All of these camps were top notch but what I really loved is that each camp had their own identity and culture. It’s exactly what I think a community should be and for the very first time, I felt that I was a part of the Drupal community. Why Establish the DrupalCamp Organizers Council? Where can I share my knowledge with other people who organize camps? What if there was some way that all of us DrupalCamp organizers could come together and implement services that make organizing camps easier? How could we provide camp organizers with resources to produce great camps? DrupalCamp Slack Community was the first time that I was provided a link to a spreadsheet that had the camp history dating back to 2006 and people were adding their target camp dates even if they were just in the planning stages. As a camp organizer I felt connected, I felt empowered to make better decisions and most of all I could just ask everyone, hey, how are you doing this? Earlier this year I volunteered for the Drupal Diversity and Inclusion Initiative (DDI) and was inspired when I heard Tara King on the DrupalEasy podcast, talk about how she just created the ddi-contrib channel on the Drupal slack and started hosting meetings. All jazzed up and motivated by that podcast, I reached out to over 20 different camp organizers from various countries and asked them if they would be interested in being on something like this? And if not, would they feel represented if this council existed? Based on the positive feedback and the spike in interest from other camp organizers I have decided to take the plunge and establish our first meeting of DrupalCamp Organizers on Friday, November 9th at 4:00pm (EST). This will be an online Zoom video call to encourage people to use their cameras so we can actually get to know one another. Introductions from all callers, and one thing they would like to see from the council. Brainstorm the list of items the council should be advocating for. Identify procedures for electing people to the Council: ways to nominate, eligibility criteria, Drupal event organizer experience required etc. Outline of a quick strategic plan. If you are attending DrupalCamp Atlanta I will be hosting the Zoom call during one of the concurrent sessions so feel free find me. Thanks to Kelly Albrecht and Linda Stewart. 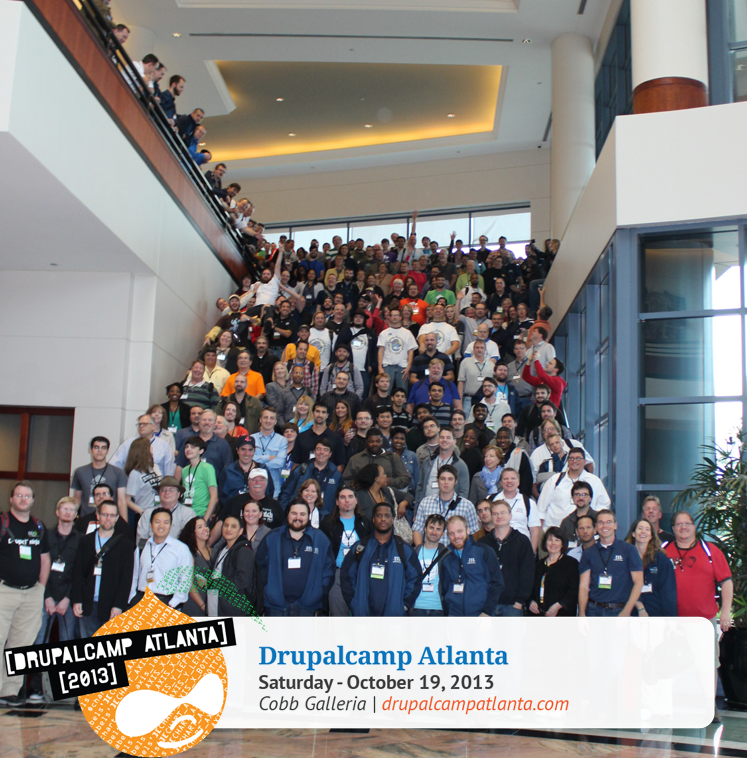 Everything Drupal in and around the Atlanta.